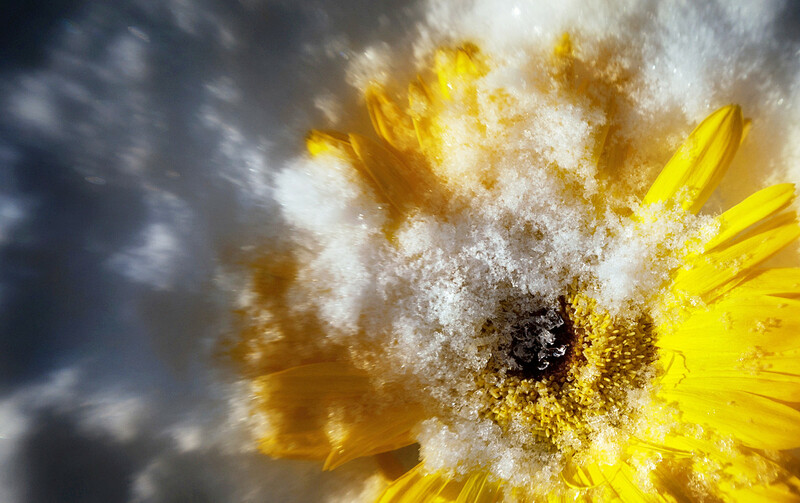 The snow on the flower is just beautiful - and such an unexpected enigma. Breaking through all of that shivering coldness! The effect of your LensBaby really works on this photo!